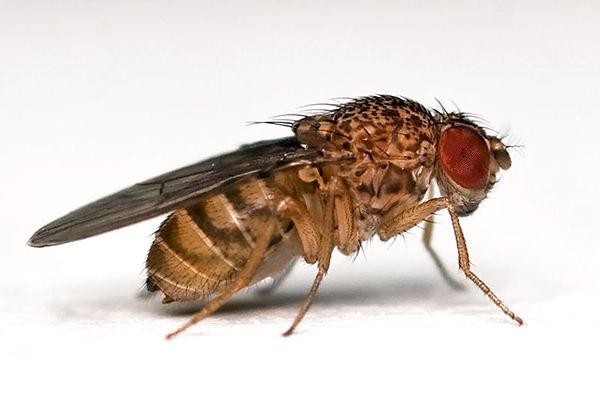 This notable paper by Roger C. Hardie and Kristian Franze looks at phototransduction in the fruit fly, Drosophila melanogaster. Drosophila melanogaster has a long history in vision research of informing our understanding of the biochemical processes involved in phototransduction going back almost 40 years to this paper. However, the Hardie and Franze paper looks at transient receptor potential (TRP) channels, which coincidently were also first found in Drosophila in a series of papers from Montel and Rubin, Hardie and Minke and Niemeyer et. al. and have proved themselves to be fairly ubiquitous and involved in wide areas of cell function from growth cones to cellular guidance and chemotaxis. As expected, there are also many other areas where TRP channels are involved in the retina including store operated calcium channels and functions in ganglion cell calcium modulation, spiking rate and apoptosis.